at SVG Cutting Files!!! 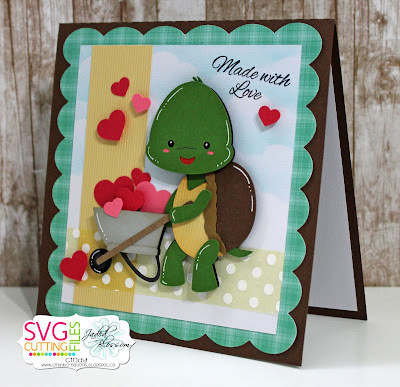 I made a fun card using a cute little turtle. Hey it is Melissa from M Miranda Creations and today is my design team day. 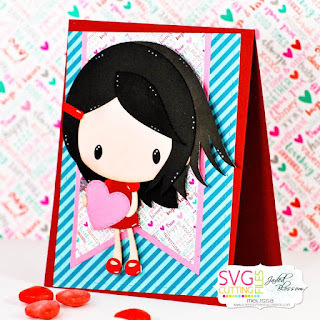 I have used the Chibi Hairdresser file to make a Valentine's Day card to share with you. I think this chibi sweetheart is super cute and thought she would be perfect for holding a heart. I used some dies from Jaded Blossom as well - Card Mat Dies, Wine Tag Die, and Heart Dies 2. 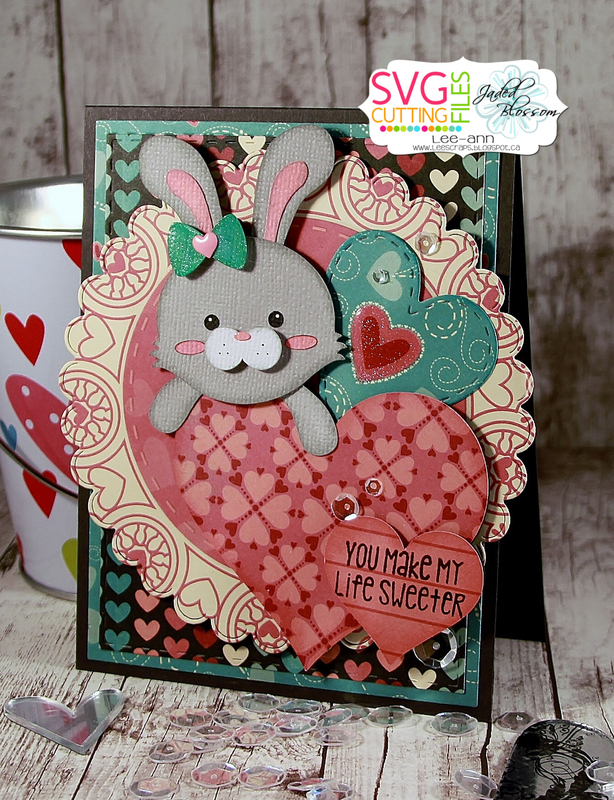 The background paper is from My Favorite Things and Doodlebug Design and the cardstock for the cardbase is from Papertrey Ink. Thanks for stopping by! Don't forget to drop by throughout the weekto see all the great projects the rest of the design team will have to share. It's Barb from BugBites and I have a super cute Valentines card to share today. Things are going buggy in the SVG Cutting Files store. 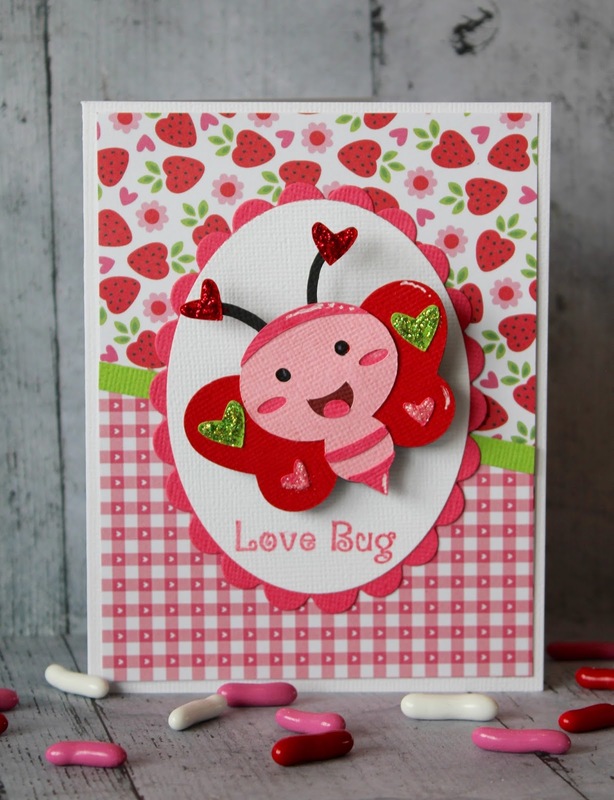 They just released some super cute bugs for Valentine's Day. 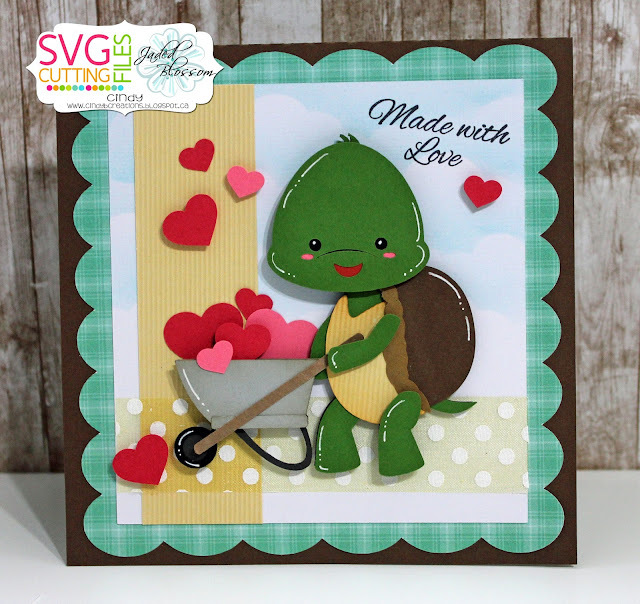 I am using the Love Bug Dragon Fly. I used some cute Doodlebug papers for the base of my card. Love it when I finally decided on just the right papers. Do you all have this same problem, picking out paper. It takes me longer to pick paper than it does to make the card. Remember, check out all the new love bugs in the store today! Hi everyone this is Gwen from This and That by Gwen to share a super cute new cut file with you. 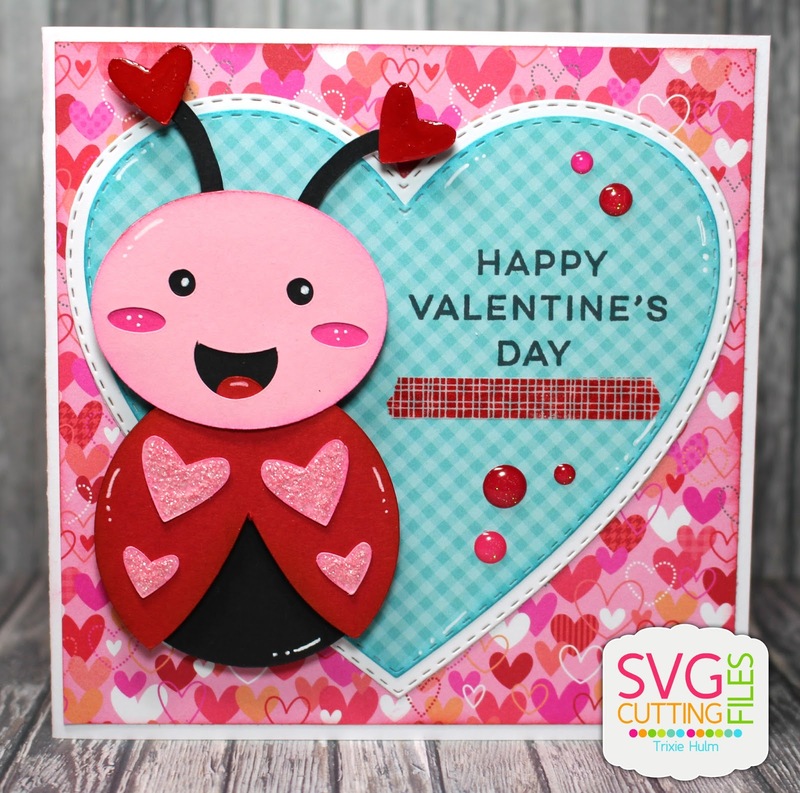 This sweet little love bug bee image will be in the SVG Cutting Files store on Friday so make sure to pick her up. You can get her here. She just makes me smile! I cut her at 2.5" high and I put her on a action wobble so she really moves. 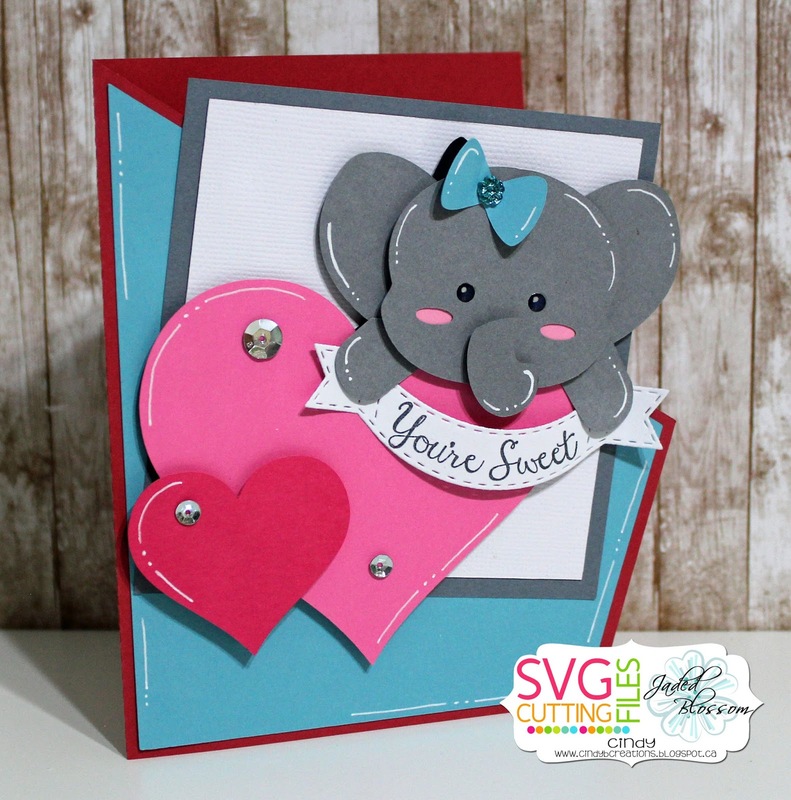 Trixie here and it's my DT day here on the SVG Cutting Files Blog. 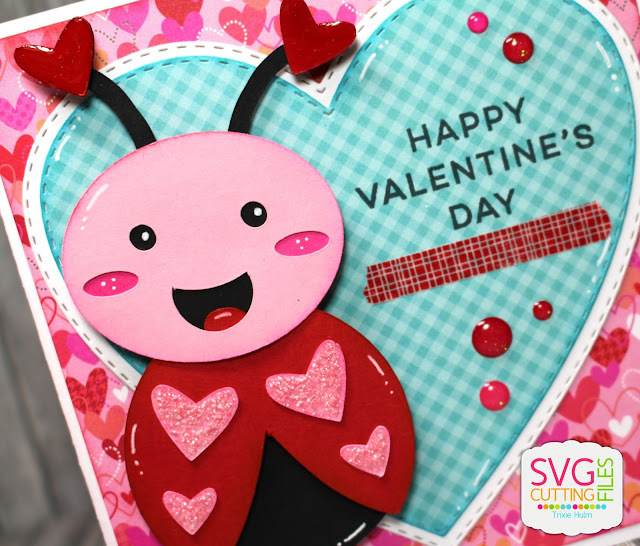 Today I used the ADORABLE new Lovebug Ladybug from SVG Cutting Files. I can't get over how cute she is!! I used some Glossy Accents and Stickles Glitter Glue on the Ladybug. 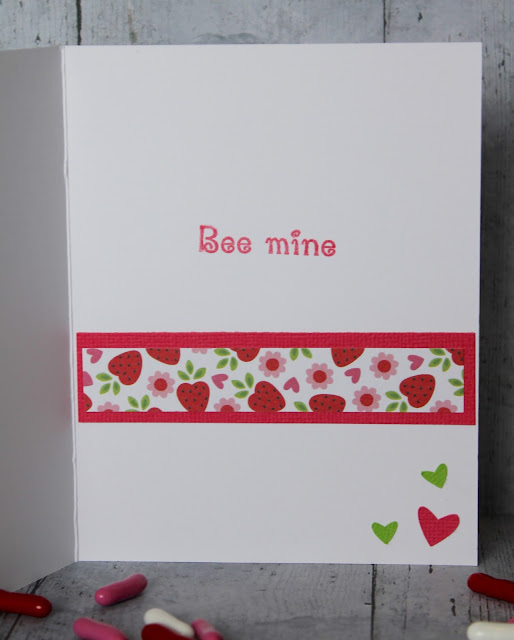 I also added some Enamel Dots and Washi Tap. Hello! Mel from Doxie Mel Designs with a new file preview. 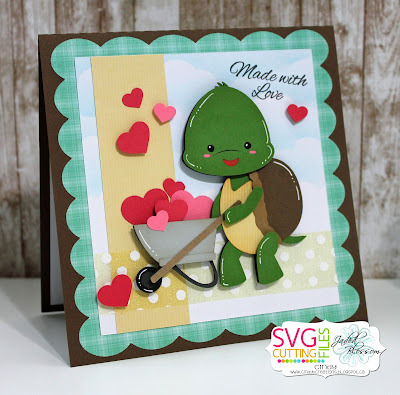 Today I get to show you a new file that will be at SVG Cutting Files this Friday. 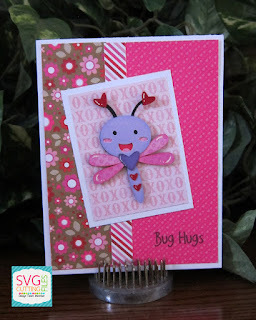 Here is a card made with the NEW Love Bug Caterpillar. 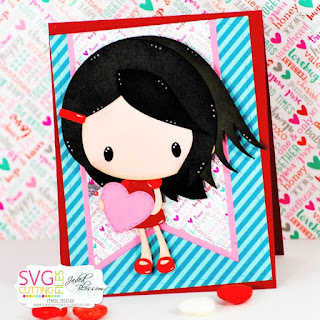 So super cute for Valentine's Day. Thanks for looking at my card today. 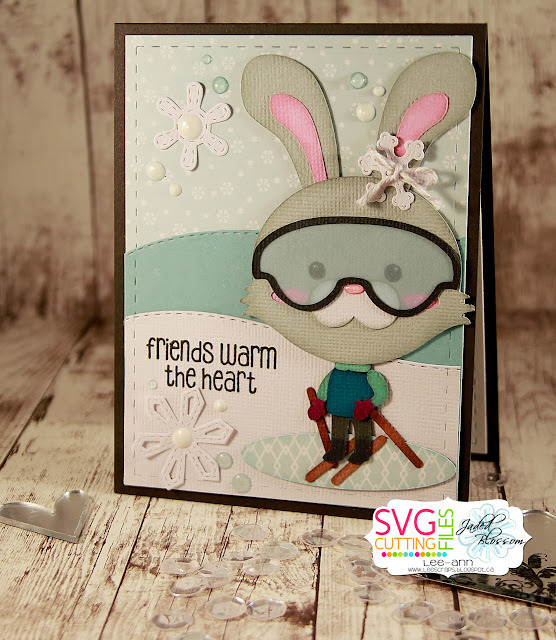 Heart Bunny Hugger svg-Brand New!!! 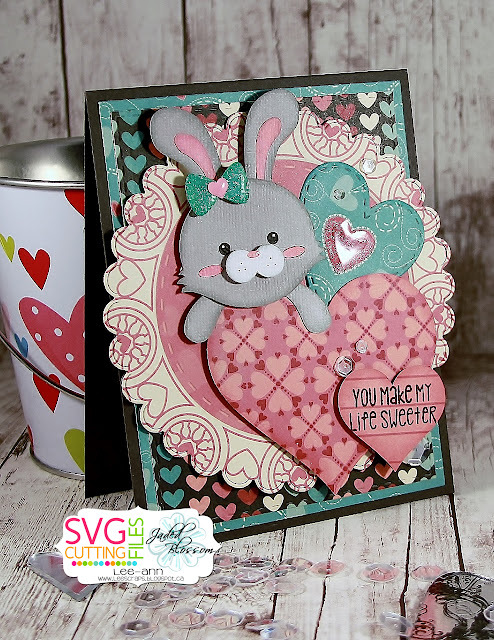 SVG Cutting Files-Heart Bunny Hugger svg-get it HERE! Hi there!! This is Candace from Candi O. 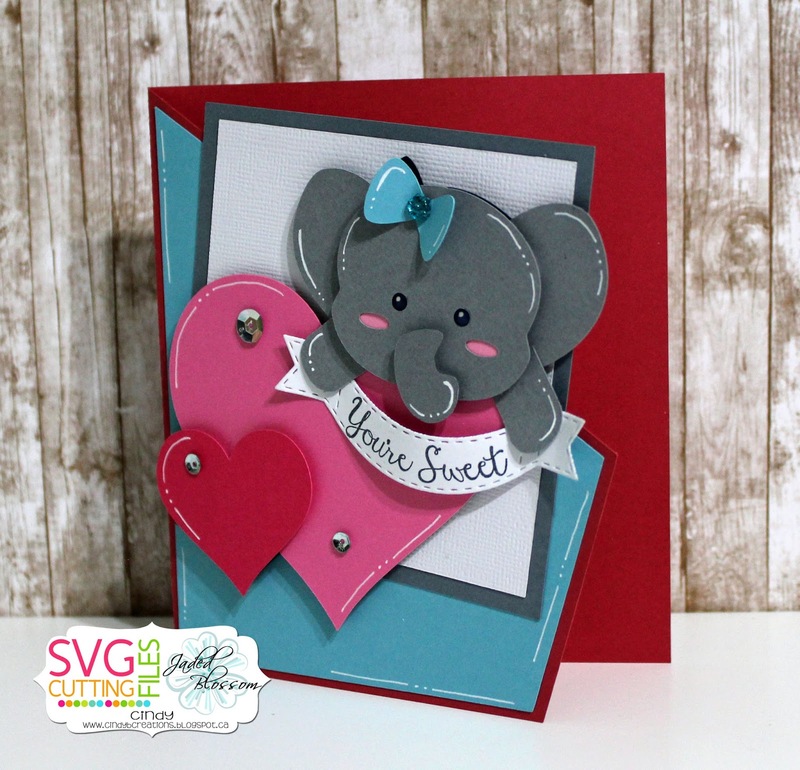 Designs and I'm here to showcase a fun new file by SVG Cutting Files that will be available in store Friday ~ "Heart Hugger Owl". Oh isn't she the cutest?!? Just perfect for Valentine's Day or that owl lover in your life!! I started with the card base Abstract 5 and then added the Owl. The banner and stamp sentiment is from Jaded Blossom. Dimensional Banner Dies for the banner to add my sentiment from the set Lollipops Galore. Who's getting crafty on a Monday!!! This is Melissa from M Miranda Creations and today is my turn to share. 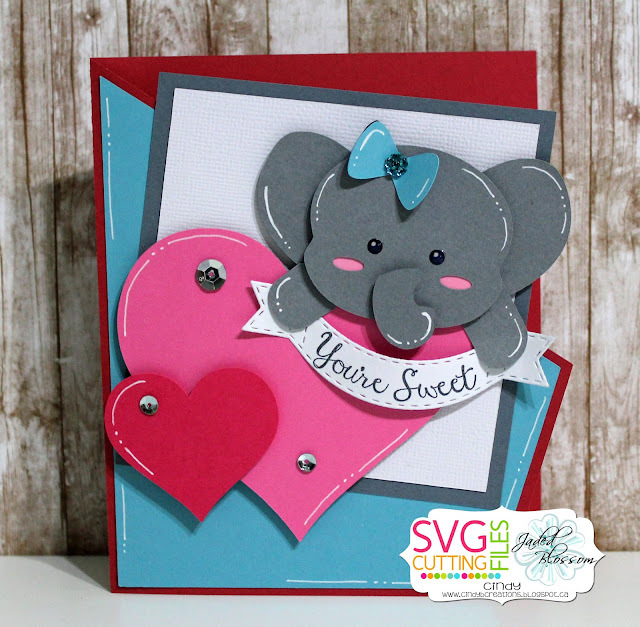 I have a fun project using a cute new file called Heart Hugger Bear and he will be available this Friday in the SVG Cutting Files store. Isn't he just too sweet!!! I used lots of goodies from Jaded Blossom as well - Card Mat Dies, Stitched Oval Dies, the new Heart Dies 2, Mini Tag Dies 2, Love Donuts, and the new Kiss Me a Latte. 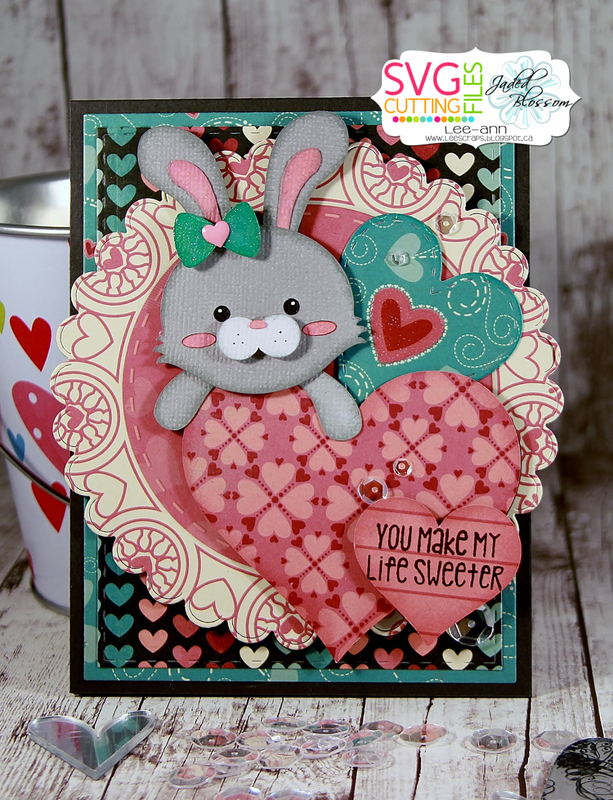 Hope you will come back by the blog everyday this week and get some more Heart Hugging sneak peeks! Hi everyone! This is GiGi from The Cricut Bug and I am sharing this gift box I made using the NEW Snowman Coat file which will be available in the store today. 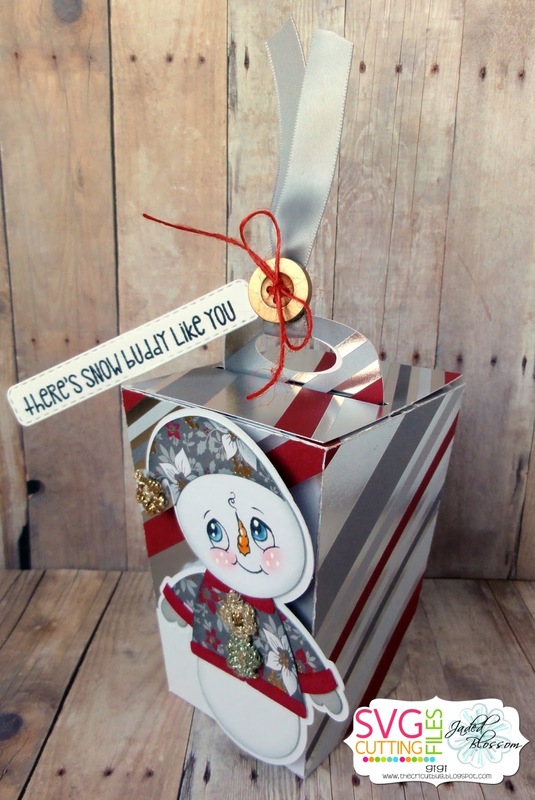 I started this project with the Tall Trapezoid Lock Box and cut it out with my Cameo. 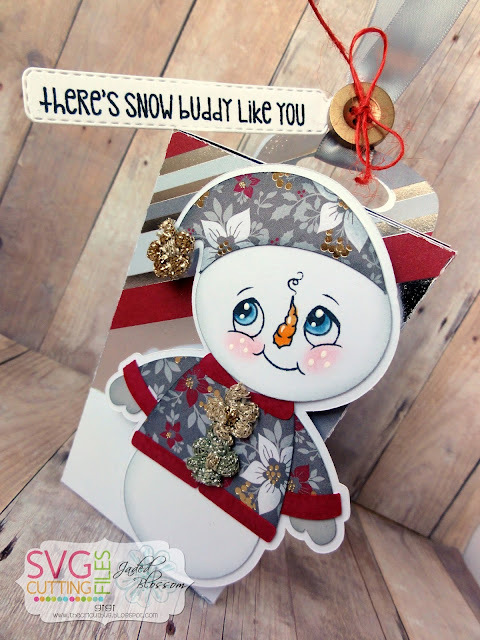 I cut the NEW Snowman Coat file and opted to stamp the face with a Peachy Keen Happy Snow Couple 1 1/8 inch face stamp. I added some decorative trim to the coat and hat and pop dotted him to the front of the box. To finish, I tired some ribbon to the handle with a button and twine, adding the sentiment tag that I cut with the Jaded Blossom Mini Tag Dies and stamped the sentiment from the White Christmas stamp set. Happy Thursday! Candace here to share a new project today! 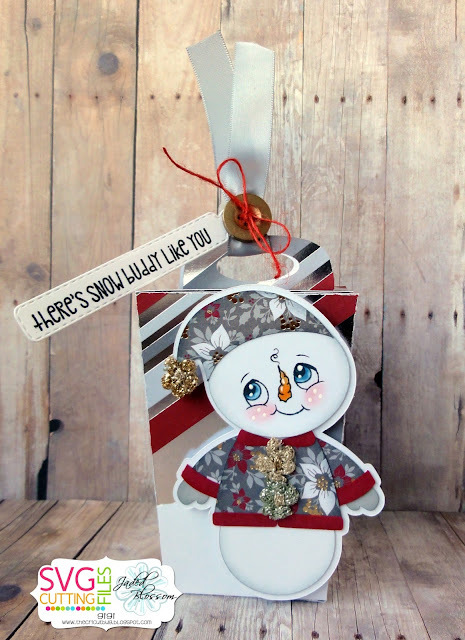 All the snowmen released this week have been sooo cute! I was luck to be able to use the new Snowman Cocoa set. 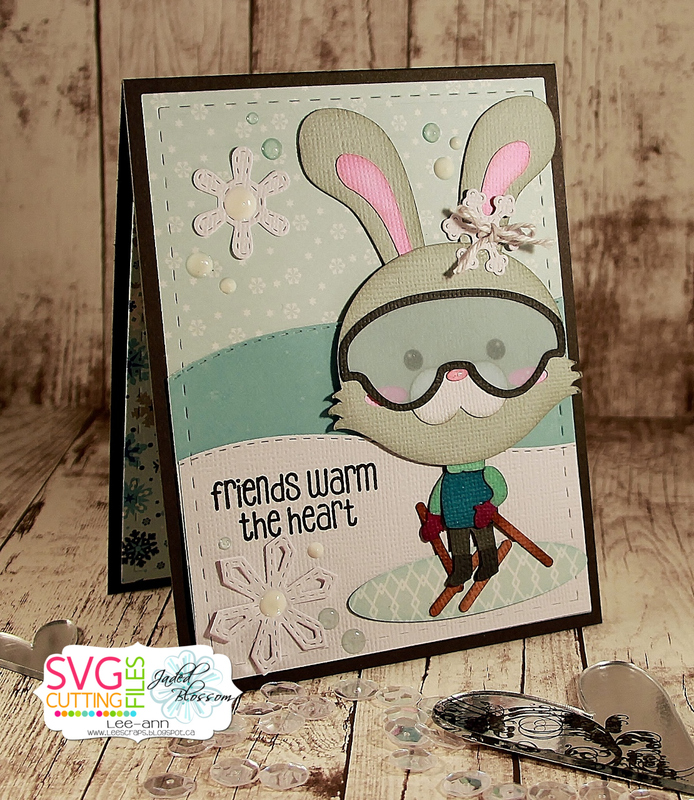 This set will be released tomorrow from SVG Cutting Files! 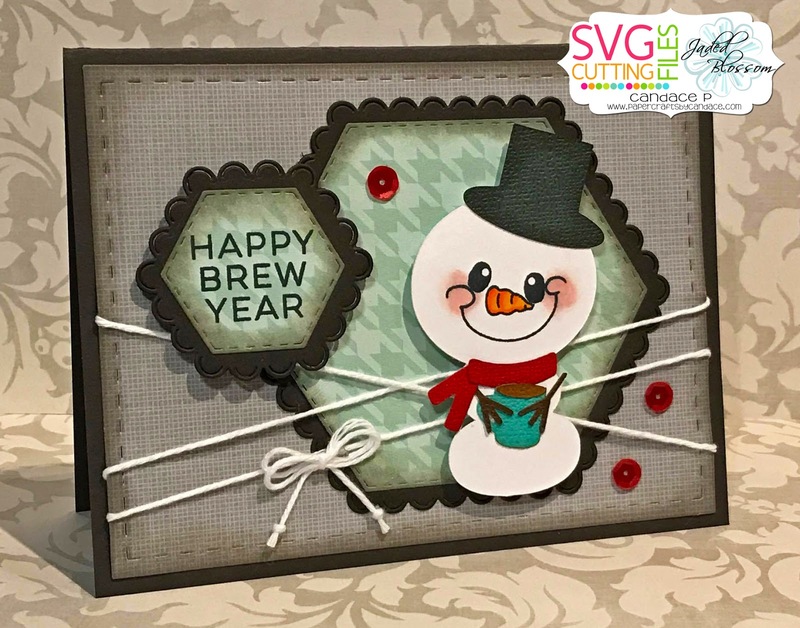 From Jaded Blossom I used Card Mat Dies, Stitched Hexagon Dies, Scallop Hexagon dies and the Happy Brew Year stamp set. 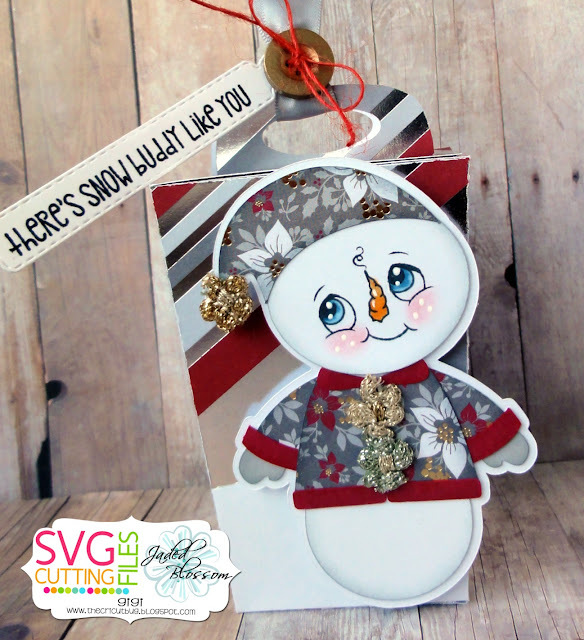 I also used Snowman Faces add on for his cute face! Jamie here to share a the new Snowman Melted file! 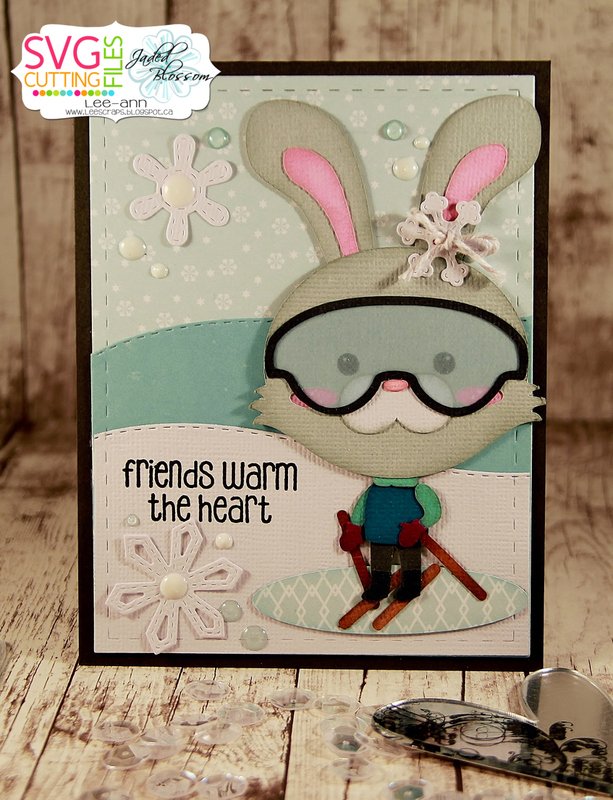 I started with the Jaded Blossom Card Mat and added a Border Die 2 for the snow and Christmas Die 2 for the trees. Then I pop dotted the Snowman Melted file to the card. 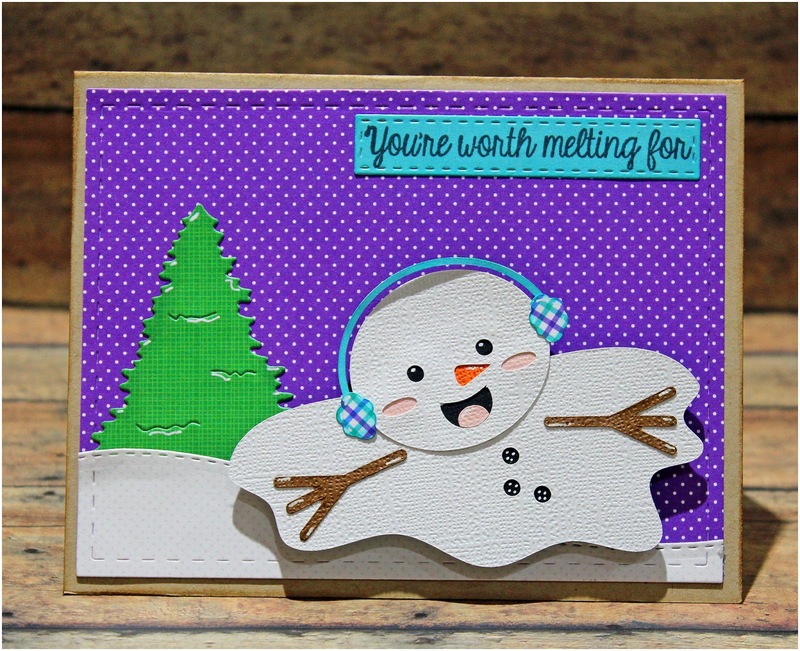 I finished off the card with a sentiment from White Christmas on a Border Die. SVG Cutting files-Ski Bunny-get it HERE! Hi there!! This is Candace from Candi O. 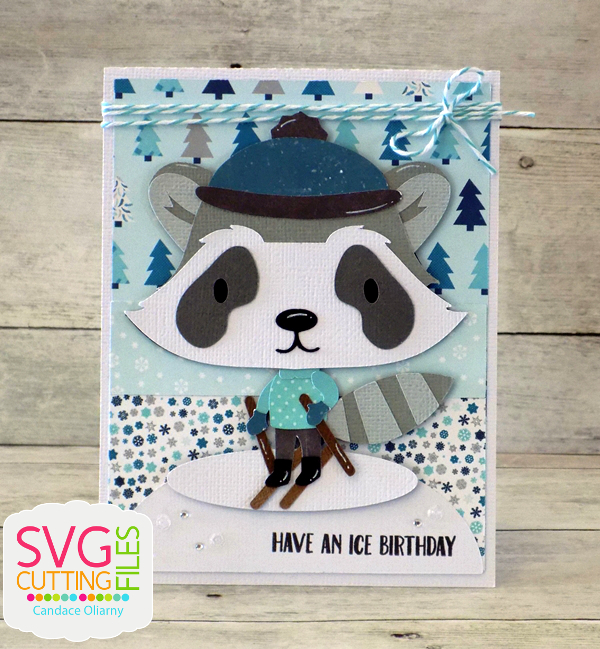 Designs and I'm here to showcase a fun new file by SVG Cutting Files that will be available in store Friday ~ "Ski Raccoon". 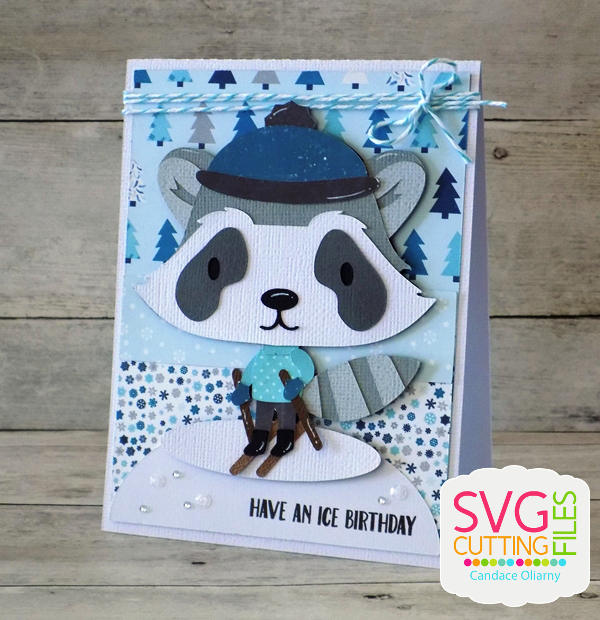 Oh these new winter animals the Design Team has been showing all week are just too darn cute!!! 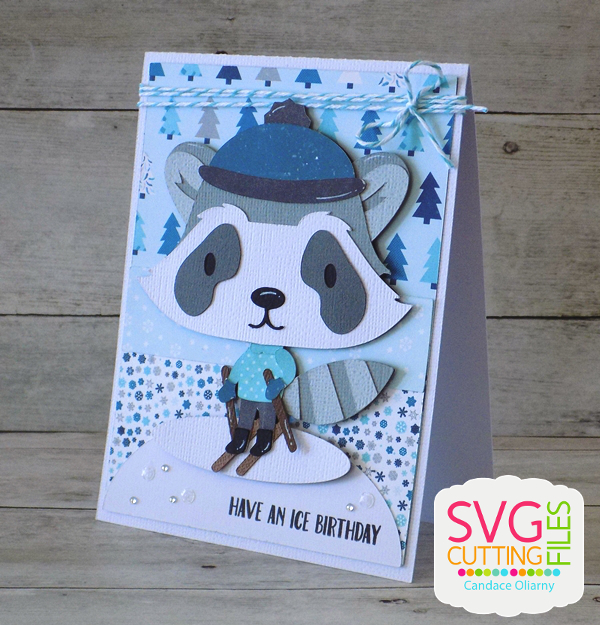 I used the Card Sketch 18 file for my card base and then added this adorable raccoon! !